Our Spring weather is uncharacteristically cold, windy and wet lately, making it difficult to know what to wear on the bike most days. I needed to go to Cardiff and Glendale today and was not sure what the riding conditions would be like. 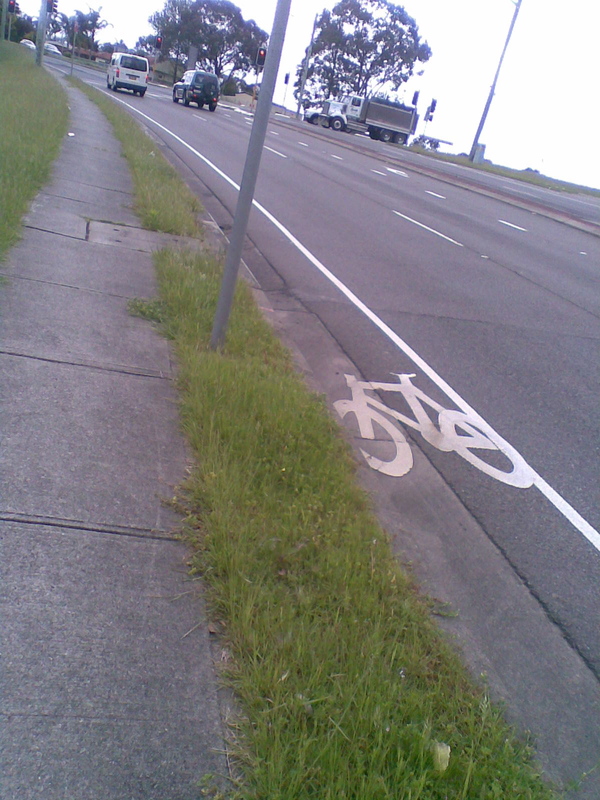 When I got there I found that the bike lanes were quite dangerous and the terrain is very hilly as well. 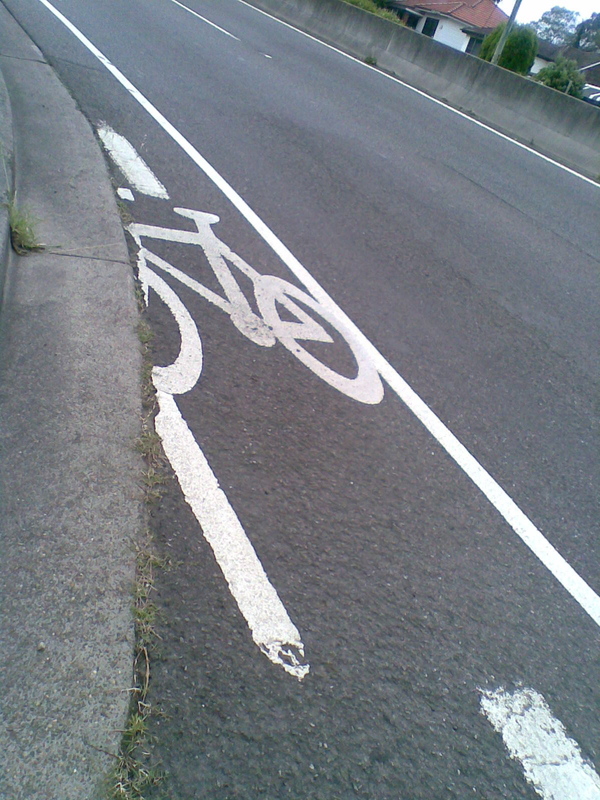 At some points there would be a clearly defined lane which would soon practically disappear, leaving bike riders with nowhere to go, beside a busy and fast four lane road. So I resorted to the footpath. I knew I would have to wear something that would be suitable for heavy traffic riding and for visiting. I chose a woollen jumper and a thick acrylic skirt, tights and flat leather shoes. 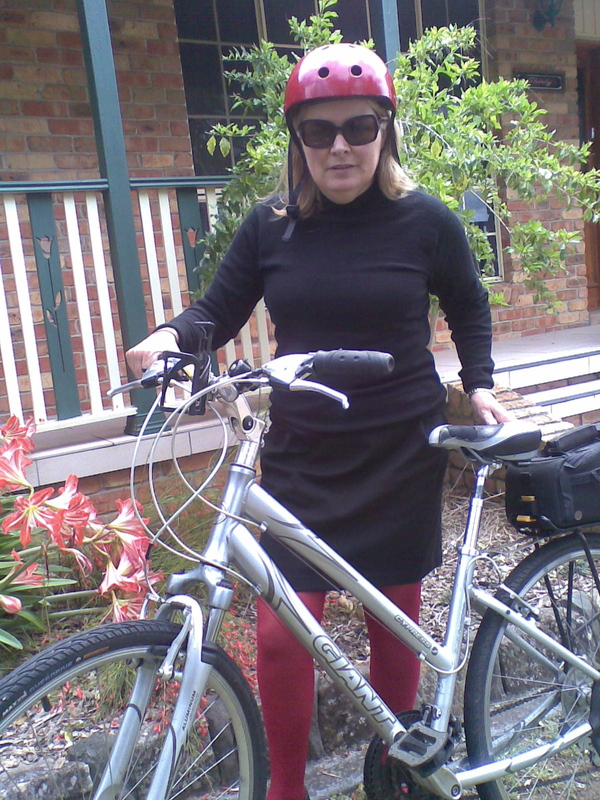 And I took my Giant bike as the brakes are much better for dealing with unknown and hilly terrains. 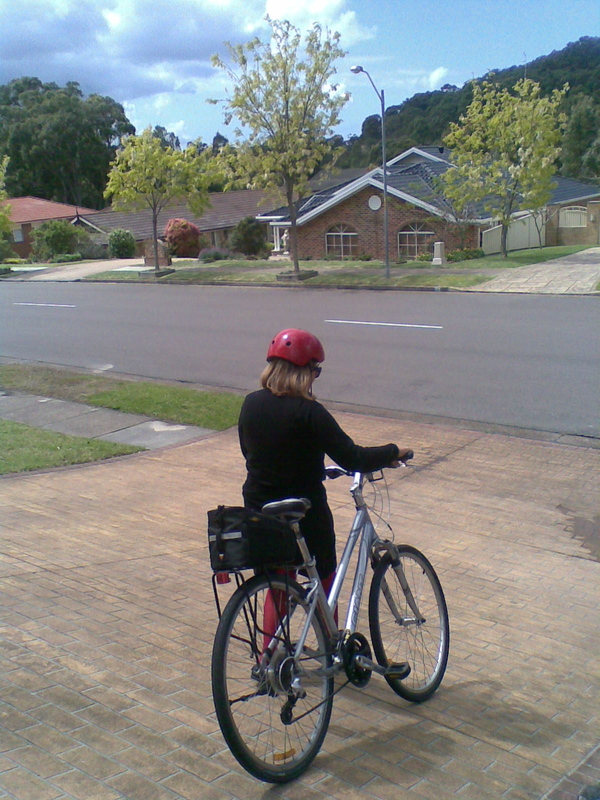 This proved a successful outfit for the day, as I find tights to be more comfortable than jeans for longer rides, and although I had visions of myself with the sun beating down on me as I struggled up long hills, the weather did not get hot, it stayed cool and windy, quite uncharacterisitc of Newcastle October weather. This entry was posted in Giant Cypress ladies and tagged bike lanes, Fashion, Giant. Bookmark the permalink.